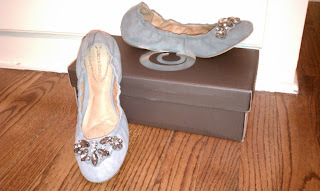 The Working Girl's Shoe Closet: My ‘Farrow’ Ladies! 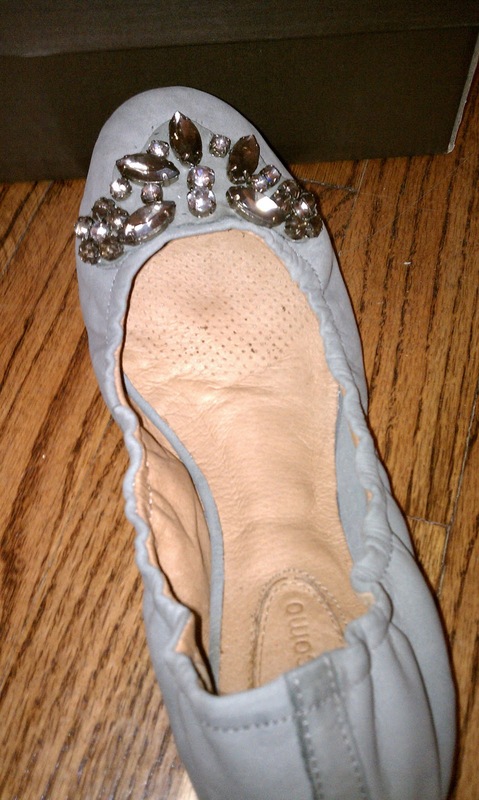 Anywho, I did get these ‘Farrow’ bejeweled flats that are truly amazing. I am a huge fan of great city flats, hence the Ulimate City Flat for the Ultimate City Girl. However, these are really very different. These are flats to live by. 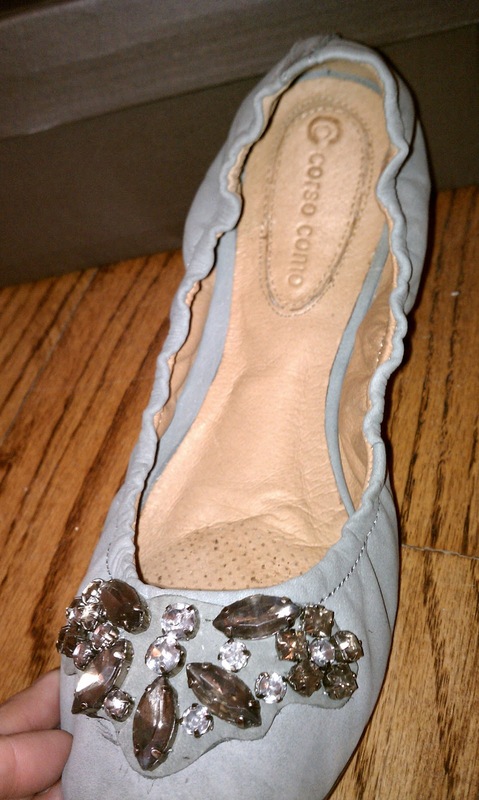 After research and looking for more of the Corso Como shoes in general, I think this entire brand may be too! When I got these, they were much softer than I expected. They were also VERY high quality craftsmanship. I also noticed that the insole was like no other I had ever seen. It was like a little pillow with air holes. And the leather inside was really soft. My curiosity was so piqued! I immediately tried them on to find a whole new experience. The padding in these shoes is like no other. At first, they feel a little weird because you’re not used to this feeling of having pillows in your shoes. 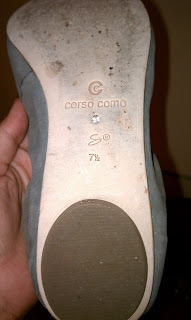 (Like 5 layers of different foam cushions, aka the Corso Como Comfort System) But your feet sink into them with such appreciation that you acclimate rather quickly. ;) They are designed to let your feet breath while reducing humidity. The bottom sole has their logo and this adorable little rhinestone embedded in the center of it. It's almost too cute to walk on! I wanted to share a little about Corso Como with you too. Although they aren’t vegan, they are incredibly eco-friendly. They are at the cutting edge of leather manufacturing by using methods that reinforce their commitment to the global environment. They’re all about promoting the idea of style with a conscience. *swoon* They sent a great little card with the shoes that talks about their commitment to protect the environment by using recyclable paper on all packaging saving about 2,000 trees per year. If you need more convincing, all their shoes have natural colored leather in their soles because they don’t use chemical or mechanical correction processes. This adds to their shoes flexibility which means softness and comfort to us! ;) Can’t wait to get some of their heels! 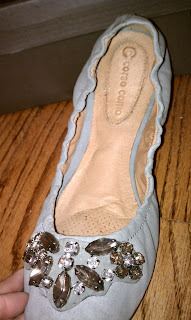 Those are some really cute flats! I love all the sparklies! Soo cute! @Trianna & ShoeTease - Thanks for stopping by! Blingy sparkles make everything better! these are so cute!!!! I know what you mean about the elastic hurting; I had to add the skinny foot petals for strappy sandals over the elastic part at the heels and it worked perfectly!